It's time for an update on how Cindy's and my Project Happy Life is going. 1. No more watching videos during dinner! We weren't quite prepared to give up watching news and political talk shows over breakfast, but making sure we're giving each other our full attention over dinner was an easy choice that is totally contributing to our happiness. 2. No more eating after 11pm. As I wrote in my 40 Paleo Days and Nights post, Cindy and I have been eating according to Mark Sisson's Primal Blueprint Paleo diet (we're up over 50 days now). While we feel great - clearer heads, clearer skin, no more blood sugar spikes and crashes, etc - we weren't really losing any weight, which we'd both like to do. I've been a little anxious about this pact - fearing that if I ate my dinner too early, I would end up going to bed hungry, which would make me miserable all night. However, something about eliminating processed food and foods that are high on the glycemic index has really muted my hunger. If anything, I've felt slightly empty when going to bed (rather than stuffed full, which was my habit), but not at all uncomfortable. After instituting this rule over a week ago, and without changing anything else, our weight has started going down. 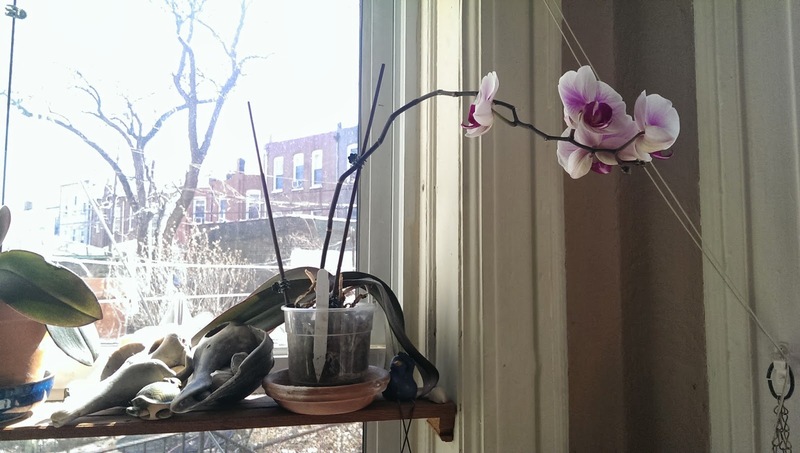 And now, here's a braggy photo of how well the orchid I found on top of a trash pile outside a hotel in Manhattan is doing. Four blossoms, and 3 buds. I think it likes this window. Beyond the two pacts, we've really been working on The Spring Purge. Getting rid of excess stuff is a key component in our Project Happy Life. We have so much work that needs to be done on this house, so being able to see it more clearly (without the bones of the place being obscured by a bunch of clutter) helps us make design choices for furniture, kitchen cabinets, etc. Also, it's easier to focus on finishing all the projects I have in process (aka started, but not finished) when the place isn't full of all this stuff in my way. Re-wiring the house is a good example of this. I'll have to make a post about that in the future. But I'm also working on stripping the paint off the woodwork, the plaster needs to be repaired in many places, and the whole house needs a proper paint job... I could go on and on. But, one loooooong project with which I'm almost finished is digitizing all of our tapes. 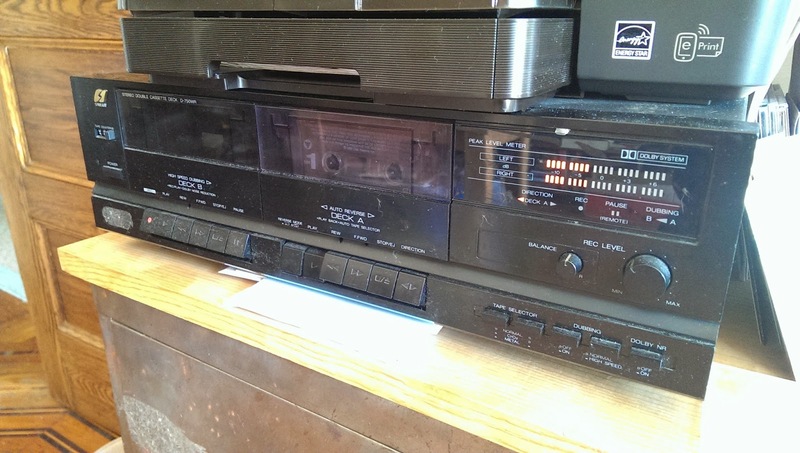 A few years ago, my mom finally forced me to take back all my cassette tapes from high school, which have been in big cassette drawers (remember those things? With fake wood veneer? You'd get them at the music store in the mall). Those things take up a whole lot more physical space than they do computer space. SO, in case you're interested, I'm finding great success with a nice used tape deck (bought from a street vendor in Brooklyn for $11). I plugged it into the computer through a thing called iMic (which offers a line-in jack and theoretically provides a cleaner sound than the computer's built in line-in jack), and I captured the sound with the included Final Vinyl software. Final Vinyl records each tape as one long track. It has the ability to separate the track into individual songs, but I've found greater success doing that through Audacity (free audio editing software), and then exporting the music to iTunes. Meanwhile, Cindy is still hard at work at putting piles of DVD's we inherited into big binders in alphabetical order. We're freeing up a lot of space by getting rid of the DVD cases, but doing so was a hard decision for us. Those cases are designed to make the movies look good, and, well, they work! Plain old disks simply don't look as interesting as big fancy boxes with pictures and quotes all over them. So, we made a judgement call. We're parting with the pretty boxes in favor of having more space in which to live our lives. You might wonder what we're doing with those tape cassettes and empty DVD cases when we're done with them. Putting all of our stuff in the trash is not an option. The DVD boxes are easy. The ones that have printed cardboard covers get separated into the plastic and cardboard recycling bins for city pick-up. The all-plastic DVD cases get given to a guy around the corner who uses them to sell other DVD's in. The tape cassettes are easy, too, but we have to pay a little money to have them properly recycled. A few years ago, I used Greedisk.com for recycling a bunch of CD's and our old VHS collection (after I finished digitizing that too). We'll use their service again. The research I've done on Greendisk leads me to believe they are legitimately environmentally responsible in their recycling practices. That's important, because there are a lot of charlatans out there who send their stuff overseas where there are no protections for the recycling workers or the local environment. On this first day of Spring, I've probably said almost enough about The Spring Purge. 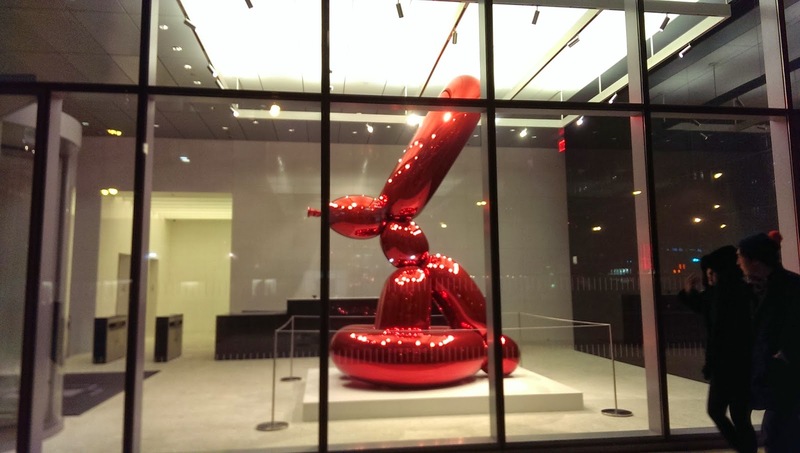 Here's a giant balloon bunny sculpture. Enjoy. P.S. Special thanks goes to our friends, Dave and Stephanie, for helping us haul a bunch of stuff into the city for give-away and recycling this morning. They have a car.